While working in Texas last month, I had the good fortune to visit the Dallas Museum of Art. 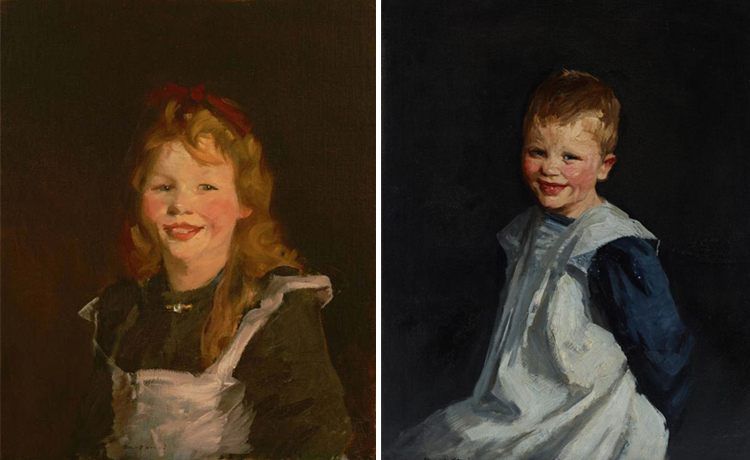 I found a few paintings that reminded me of works from The Phillips Collection, and thought they made nice pairings. Edward Hicks painted more than one hundred versions of this subject, which illustrates his favorite biblical passage—Isaiah’s prophecy (Isaiah 11:6-9), an allegory of spiritual and earthly harmony. 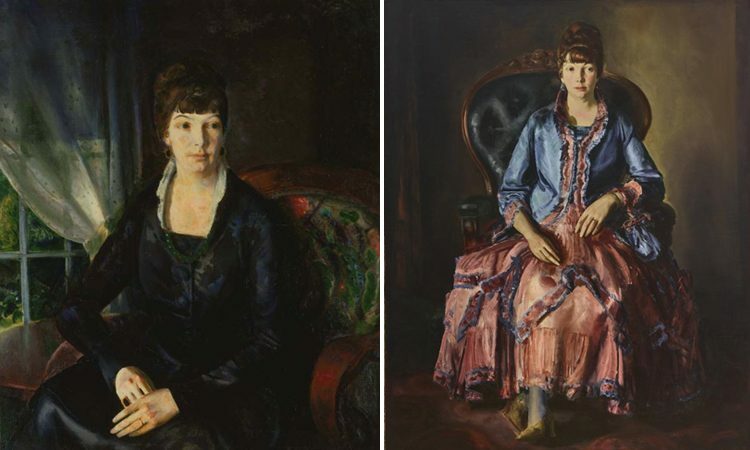 Between 1911 and 1924, George Bellows painted eleven portraits of his wife, Emma Story Bellows (1884–1959). The works from the 1920s were created in Woodstock, New York, where the couple summered. These mature portraits reflect Bellows’s admiration for the Old Masters, Thomas Eakins, and contemporary color theories. After establishing himself in the 1920s as the world’s foremost watercolorist, John Marin began painting oils in the 1930s. These paintings reveal Marin’s renowned ability to capture his immediate impression of a powerful seascape along the rocky Maine coast. After years of study with him at the Art Students League, in 1891, Lydia Field Emmet accepted William Merritt Chase’s offer to lead the preparatory class at the Shinnecock Summer School of Art. By this time, she was also pursuing work as a society portraitist and a designer of stained glass for Tiffany and Company. Her self-assured expression fixed on Chase’s canvas captures an image of an artist who would become one of the foremost American women portrait painters of the late 19th century. The portrait bears the strong imprint of the 17th century Dutch portraiture tradition, sharing with Anthony van Dyck, Rembrandt, and Frans Hals an allegiance to painterly brushwork, elegant contrasts of light and dark, dramatic pose, and expressive tone. Moreover, Lydia Field Emmet highlights Chase’s skillful hand in conveying texture, as seen in the precise rendering of the lace and the variegated tones of the pink satin ribbon—signs of the enduring legacy of the artist’s Munich training.